My first week back in France has been indulgent. Wine, cheese, saucisson and foamy cappuccinos have been consumed and fully enjoyed. Something happens when I come here. I am reminded of pure food pleasure. Everyone I see seems as obsessed over their next meal as I am, and they look forward to enjoying it and sharing it with loved ones. Food is culture, celebration, family. There is an appreciation for food that lacks at home. It is treated with respect. I was watching a movie online when a French advertisement came up with a piece of health advice"For your health, try to avoid snacking between meals". I felt so far away from home. At home the snack market is a huge money making industry, with junk food and health food alike. I'm guilty myself for splurging on expensive "healthy" snacks to keep in my purse when I need a nibble. And while France is not untouched by this, it's less common to see people snacking in general. Why eat between meals when you have a delicious 3 course dinner with others coming up? Today I looked around me at a restaurant and watched tables dig into their quiches, salads and tartars with vigour. 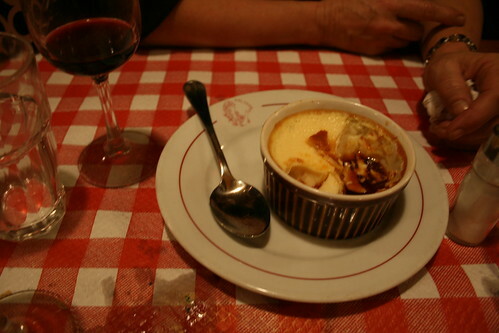 Wine was poured, people admired their food before eating, and most topped the meal with an espresso and dessert. I love this lifestyle, and even though I try to embrace it in North America I am often swayed by different concepts of health and diet and wonder if my lonely lush ways are right. A few years ago, I returned from 6 months in Paris, and brought that food appreciation home with me. I spent time and money on beautiful meals and dinner parties. I shared almost every meal at the table. Over time, it became easier to make excuses, pick up a frozen pizza, eat in front of the TV, or to start another diet or cleanse. Guilty. The sad thing is, this shift altered my food appreciation, and if anything has made me less healthy overall. My body image and my joie de vivre have suffered. So I'm making amends. Food appreciate is back. Meals shared with others is a priority. The kitchen is my creative workspace and my fork is another way to say: "I love life, and myself." Speaking about food appreciation, read about my memorable meal created by a Canadian Top Chef here!